Providing the children, youth, and adults of our community with deep, enriching, and meaningful access to the arts is no easy task. It takes the time, talent, and resources of many people to give just one child the opportunity to experience Dance, Music, Theatre, and the Visual Arts. Class tuition and ticket sales certainly go a long way to covering the cost of the performances and programs we provide at , but none of it would be possible without the generous support of individual donors, and the work of eager volunteers. 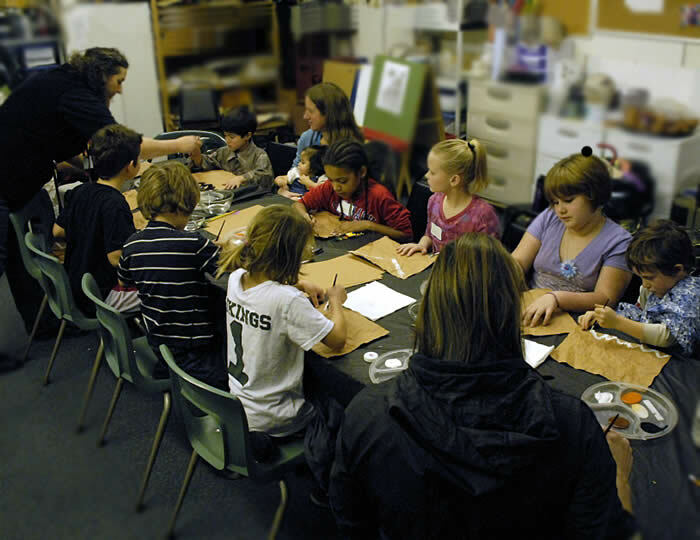 It is through donations from regular folks like you that we are able to offer class and camp scholarships to families who would not otherwise be able to have their children receive the arts education they so desperately need. 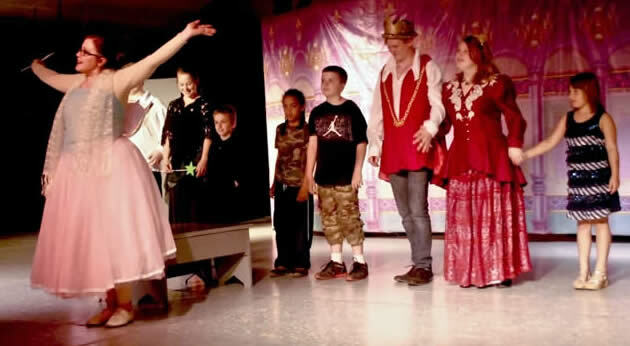 It is through donations that we can cover the costs of props and costumes and keep programs like Once Upon a Time Family Theatre affordable for families to attend. It is through donations - and generous gifts of time and talent from volunteers - that we continue to make physical improvements to our school and serve our community better. There are a lot of ways that you can support ! Every one of the options listed below would be a tremendous help to us as we strive to meet our mission. One way that you can help us the most is by becoming one of our Everyday Angels! With a monthly pledge of $5 or more, Everyday Angels provide a steady security and peace of mind that other methods never can. Become an Everyday Angel today, and start doing your part to make sure everyone has the opportunity to learn, perform, and experience the arts!